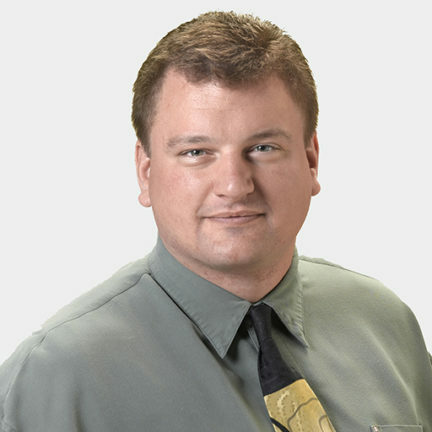 Michael Kruger started with Crystal Group as a Senior Industrial Engineer in January of 2007. He was promoted to Operations Manager in November 2007 and VP of Operations in January 2009. Mike is responsible for directing all manufacturing operations for a line of over 35 products. He is also responsible for maintaining product quality standards and Crystal’s manufacturing cost reduction initiative. Mike oversees Crystal Group’s Operations staff as well as the 40,000 square foot manufacturing facility located at company headquarters. Mike is a licensed electrician. He holds a degree in Electronic Engineering Technology from Kirkwood Community College in Cedar Rapids, Iowa. Mike attends the University of Northern Iowa in Cedar Falls, Iowa, majoring in Electro-Mechanical Systems. His home town is Vinton, Iowa.